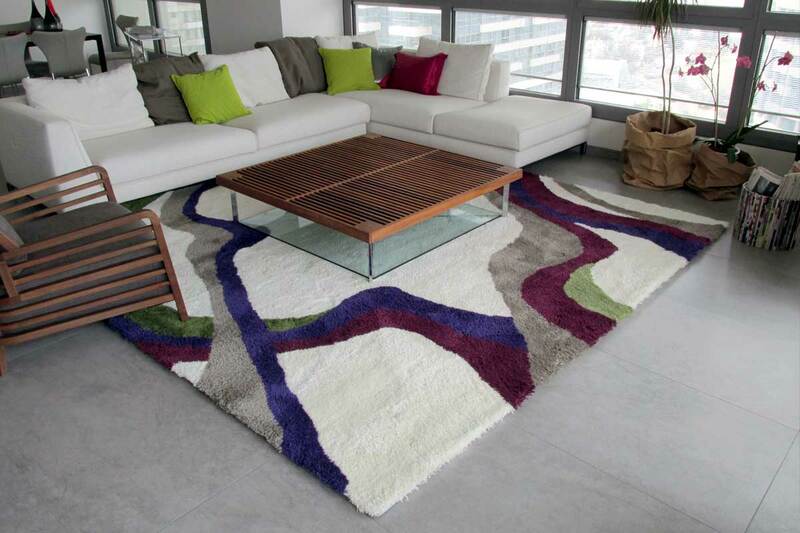 Daring colors for a dashing area rug. 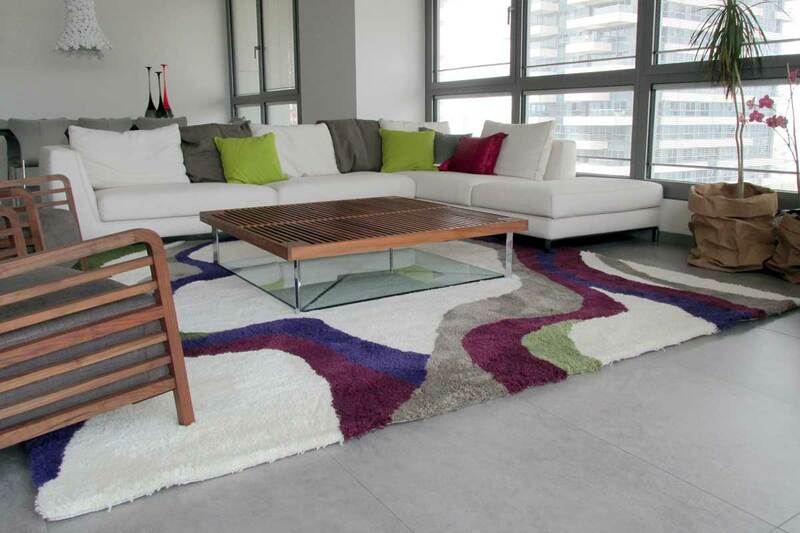 A wavy, free-style design hand-tufted in a thick high-pile, with strong colors that stand out on the white background. Designed for a home in one of Tel-Aviv's most exclusive residential towers.